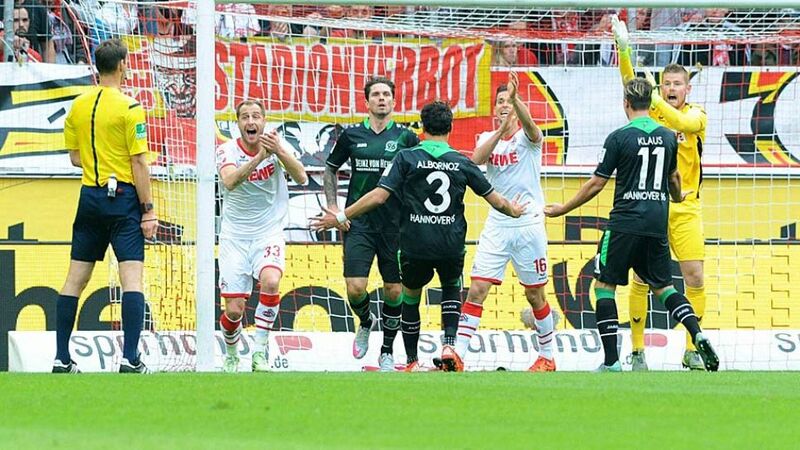 Cologne - Hannover 96 moved out of the relegation zone following a hard-earned 1-0 win away to 1. FC Köln. Köln’s Leonardo Bittencourt was full of running on the left-hand side of midfield on his first outing against his former club. The 21-year-old winger went close with an inventive near-post effort, before Marcel Risse forced the first save of the afternoon from Ron-Robert Zieler. It was Hannover, however, who took the lead when Leon Andreasen bundled in Hiroshi Kiyotake’s deflected corner after 38 minutes. The Reds almost added a second on the stroke of half time, but Timo Horn got down well to deny Artur Sobiech. As was to be expected, there was a greater sense of urgency about Köln’s play at the start of the second half. Too often, though, the final ball was lacking, and even when the effervescent Bittencourt did manage to pick out Anthony Modeste, Zieler was equal to the task. The Hannover goalkeeper proved his worth with further saves from Köln substitute Philipp Hosiner and Modeste as Michael Frontzeck’s improving charges held on to record only their second win of the campaign. Given the key to the city after winning the 2014 FIFA World Cup with Germany, Cologne native Zieler put in another confident display between the visiting goalposts as Hannover kept their second clean sheets in as many games. Hannover were being written off after losing five of their first six games of the campaign, but are now up to 14th in the standings on the back of a three-match unbeaten run (two wins, one draw). Andreasen scored his first Bundesliga goal since 14 September 2014, while three of his 16 Bundesliga strikes have come against Köln.Köln's last home defeat came against FC Augsburg on 6 December 2014.